To practice psychology in most states, psychologists must obtain a doctorate degree in psychology and pass a state licensing exam. Having obtained a master’s degree, psychologists may work as industrial-organizational consultants, engineering psychologists and education specialists. While a bachelor’s degree is a necessary step to becoming a psychologist, in and of itself it is insufficient. However, a bachelor’s degree in psychology equips students with skills that will serve them well in a variety of careers and prepare them for a myriad of entry-level jobs. Many graduates pursue careers in human or social services because a degree in psychology equips students with the ability to analyze and understand human relationships and situations, assess client needs, communicate clearly, express concern and empathy, and advocate on behalf of clients. While many graduates with a bachelor’s degree in psychology pursue careers in human or social service areas, a bachelor’s degree in psychology provides great training for a large variety of career paths. One of the greatest assets and psychology degree provides is that it teaches students interpersonal skills. Psychology graduates are strong candidates for any type of job that requires strong interpersonal and communication skills such as sales and marketing, team management, consulting, etc. Other valuable skill sets that undergraduate psychology majors acquire include research, writing and analysis – skill sets required in a variety of career fields including criminal justice, business, case management, health care, etc. Once you’ve completed your bachelor’s degree in psychology and are getting ready to search for your first job, start by making a list of all the skills, knowledge and expertise that you’ve developed as you completed your degree. Then identify all the careers and occupations that are good match for your skill set. As you pursue job opportunities, this will also help you articulate for potential employers how your degree and educational background can benefit their organization. Many students view the bachelor’s degree in psychology as a launching pad into grad school. Truth be known, over fourty percent of students who complete an undergraduate degree in psychology go on to pursue a graduate degree in business, law, psychology, or a related field. Notwithstanding, about sixty percent of undergraduate psychology students go directly into the workforce upon completion of their degree-and they do so quite successfully. In fact, the belief that to do with a degree in psychology requires a Ph.D. or doctorate is a big misconception. One of the biggest benefits of earning a bachelor’s degree in psychology is that its flexibility. For students seeking a long-term career in psychology, options are limited without first earning a master’s, Ph.D., Psy.D. or doctorate degree in psychology. It’s estimated that fewer than 25 percent of undergraduate psychology majors who enter the workforce following the completion of their degree find work in jobs that directly related to psychology. Instead, most students find jobs in other areas. Notwithstanding, bachelor’s degrees in psychology are offered at nearly every major college and university throughout the world and are one of the most popular undergraduate programs among students. If you plan on seeking job opportunities immediately following the completion of your undergraduate psychology degree, there are several things you can do to maximize the value of your education while you’re still in school. First, make sure you take courses that teach real-world skills that will be directly applicable in your future career. Remember, sometimes the hardest classes are also the most instructive and beneficial to your long-term career success. Second, focus on increasing your written and verbal communication skills. 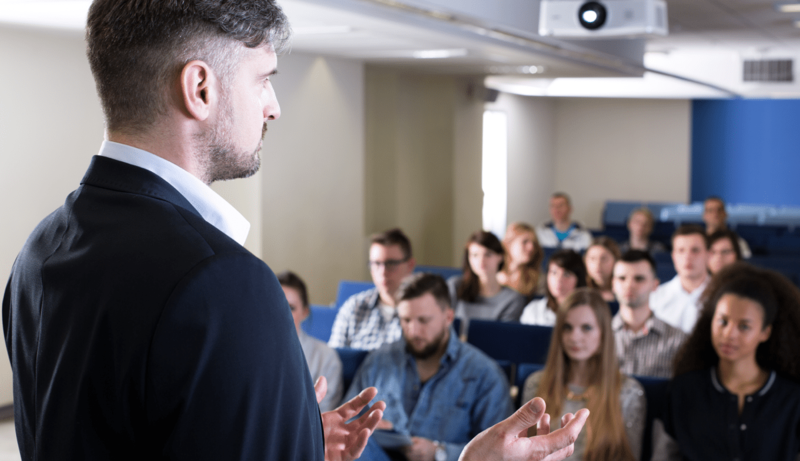 If you get nothing more out of your college education, make sure you learn how to communicate effectively in both written and verbal format. Communication skills are one of the most important skills any successful professional can possess. Finally, take advantage of your psychology classes. Develop an indepth understanding of human, group and organizational behavior that can qualify you for a successful career in many fields. As previously mentioned, once you’re ready to find a career start by looking at those jobs that require the skills and knowledge you obtained will earning your undergraduate psychology degree. According to the U.S. Bureau of Labor Statistics, psychology jobs are expected to grow at an average rate over the next decade. This growth will be due in large part to an increase demand in psychology services in private businesses, hospitals and medical clinics, mental health centers and social service organizations. Notwithstanding, there will be considerable competition for good jobs and students should do everything they can to set themselves apart from other job candidates. Job opportunities in psychology are going to be greatest for those with a doctorate degree.